Yesterday, I was part of the journalists that went to Jerera to cover Potraz’s roadshow. Local residents and those from nearby areas were being educated on their rights as consumers as people in the more rural parts are usually the last to report incidents. With a number of give-aways and entertainment by local celebrities a reasonably high turnout, especially considering the fact that people had to brave the drizzling rain for the majority of the day. Anyway, as the event went on I began to notice that there was quite a number of people using smartphones in the area. I had not thought this would be the case so I began asking the people of Jerera what apps and services they use most on their phones. These seemingly simple questions proved to be very revealing. One of the more surprising things I learnt is that though a lot of the residents in Jerera actually have smartphones, most of them don’t use Whatsapp. I was obviously taken aback because Whatsapp is so cheap and usually the whole point of having smartphones for people outside of the major cities is for them to be able to communicate with their relatives and friends in these cities. In Jerera, the uncertainty around the availability of electricity has created a stigma when it comes to purchasing bundles or data in general. One guy, I talked to explained to me that it made no sense to invest in a weekly or monthly bundle when there’s no guarantee that there would actually be electricity for him to actually use the bundle he would have bought. The lack of interaction with data services in Jerera is not because there is no data. Data is there and on my Econet line I was consistently connected and the 3G in the area is certainly serviceable. Loading webpages in Chrome and using Instagram was hit and miss but those services are already prohibitively expensive in Harare as well. On Whatsapp however, it was a different ball game. I received and sent Whatsapp messages without experiencing too many problems, so it seemed the more popular and necessary service worked just fine. If only the electricity would cooperate as well as the network. So what do the residents of Jerera use their smartphones for? Mostly their phones are used for services that do not need any data at all since they have to be constantly managing their battery. Yes, I merely talked about Whatsapp, but because of the situation with electricity, all applications that consume internet data are not really considered. Of course, this is not the entire community but as I was talking to more and more people it seemed most did not rely on the internet. Though there are smartphones to be spotted here and there, feature phones are far more common in Jerera. 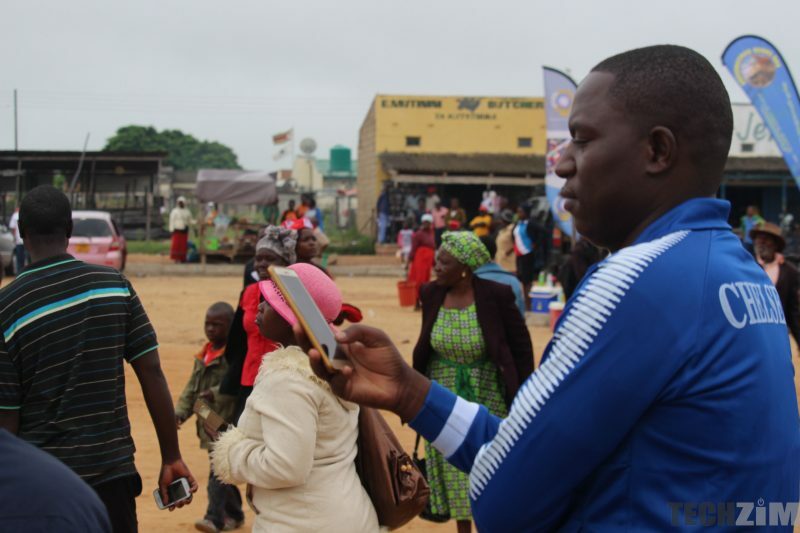 I asked a resident if he would buy a smartphone anytime soon and he explained why he prefers having a feature phone or a mbudzi as they are more popularly known. He explained that because of electricity issues it made sense for him to use the feature-phone as buying a smartphone would cost too much and he wouldn’t even get to enjoy the defining feature of the smartphone: the internet. Another Jerera resident also made it clear that using a mbudzi was more beneficial because of battery life. Those using smartphones without using data will only have battery life for a day or 2 at most whilst those with feature-phones would charge their phones once in every 4-5 days and in some cases even once a week. The electricity situation in Jerera has led to a feeling among most residents that there is no justifiable reason to invest in a smartphone or data services. One Transaction Of Bitcoin Mining Uses Enough Energy To Power 27 Homes For A Full Day: Shocking! Better yet, why don’t you provide him with the correct terminology he should be using. You appear to have the answer, please share. Nhasi techzim visited my area. Electricity z quite a problem mad we use smartphone for data a lot. You missed that we buy 1confusion for voice, there z hardly 3g at Jerera. Econet has tow booster right in Jerera when net1 is content with 1 that z 10km away. They are really short-changing us. Econet is doing the same in that they give us WiFi bundles for data purchases but nowhere to use the WiFi. Znt this robbery of some sort.